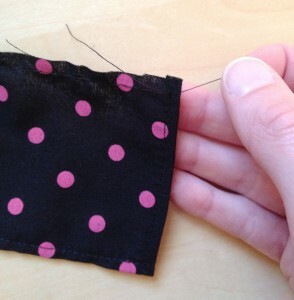 Now that October is here, it’s boutique season again! 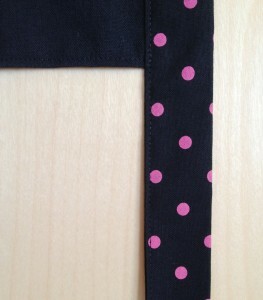 This year, we thought it would be fun to upgrade our boutique “uniforms” a bit with a little half apron! 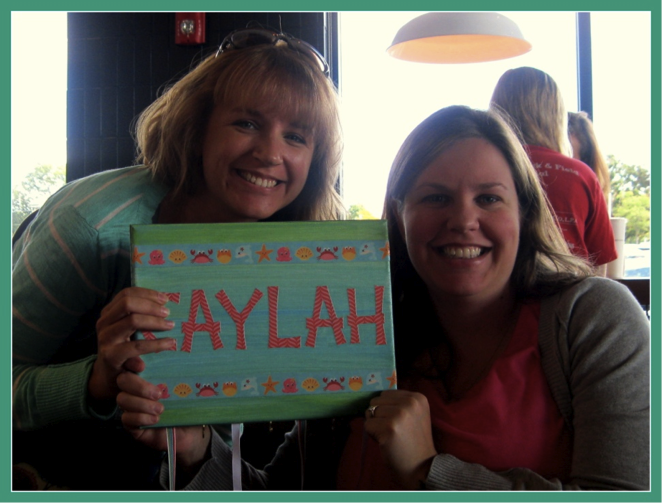 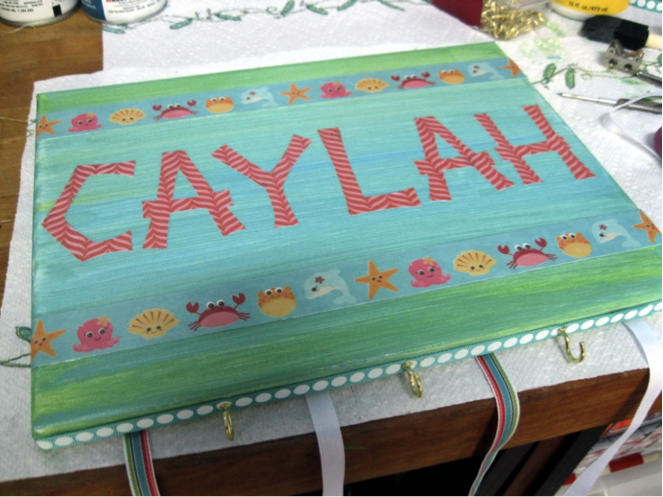 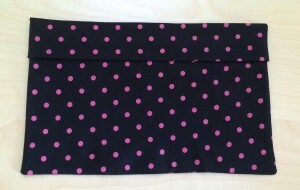 We figured it would be dual purpose – it would look cute and also provide an extra place for us to keep our phones, pens, etc, within easy reach! 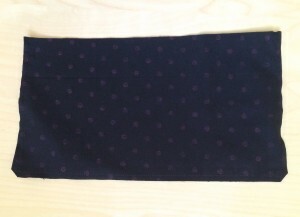 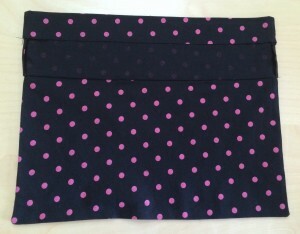 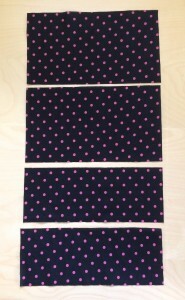 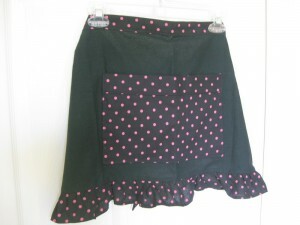 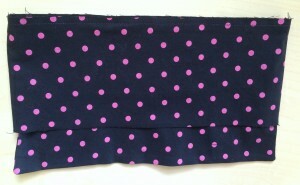 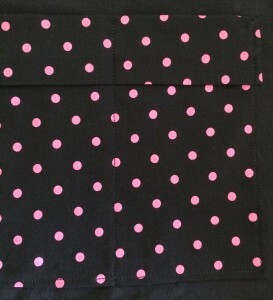 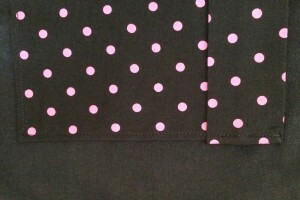 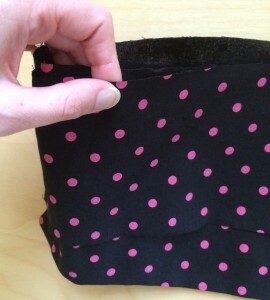 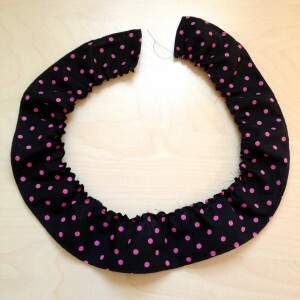 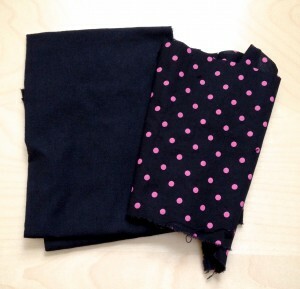 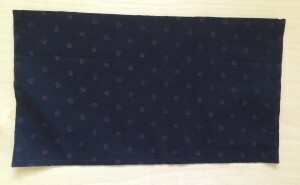 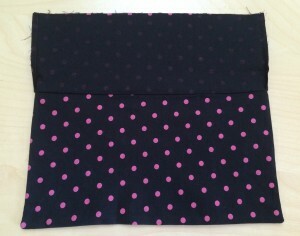 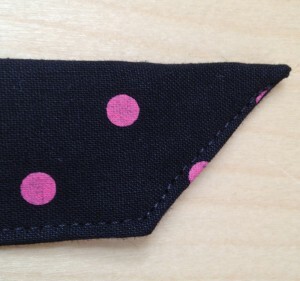 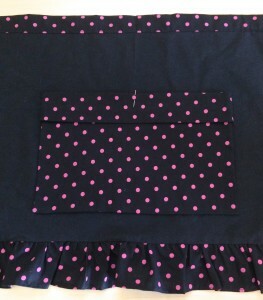 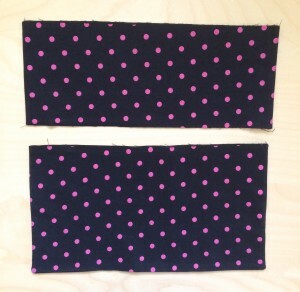 In keeping with our “Throne of Grace style”, we decided the body of the apron would be black and then the rest of the pieces would be black with pink polka dots, but of course, you can choose any fabric you like! 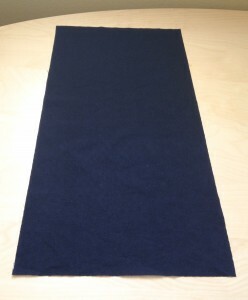 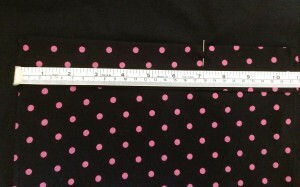 I made 4 aprons, so we got 2 ½ yards of each to make sure we’d have plenty, but if you want to make only one apron, you’ll just need 1/2 yard of each fabric (assuming you’re using 2). 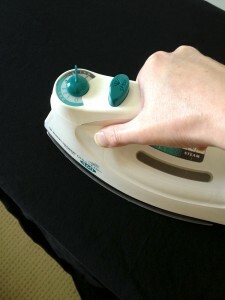 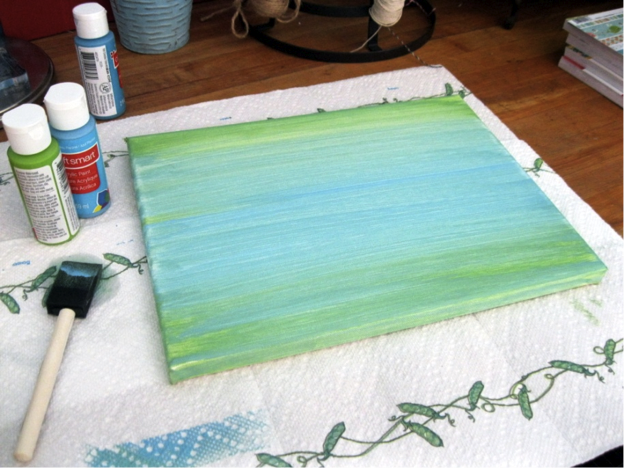 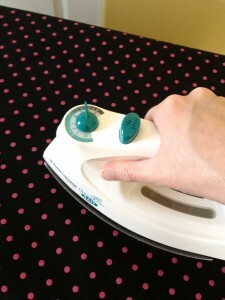 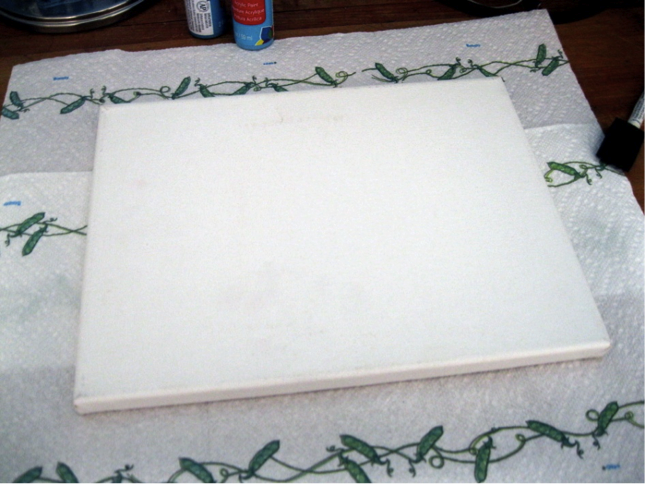 The first step is to wash and iron the fabric. 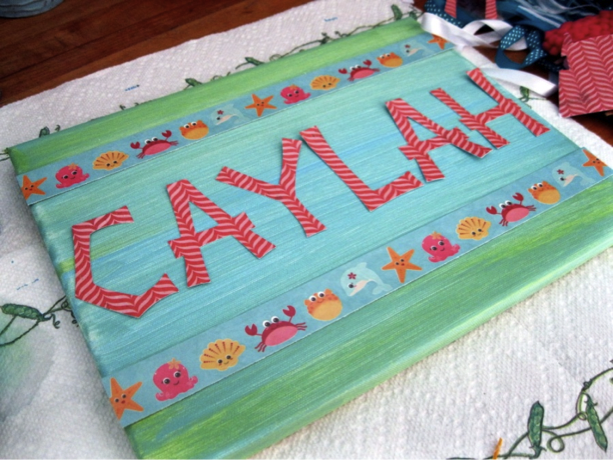 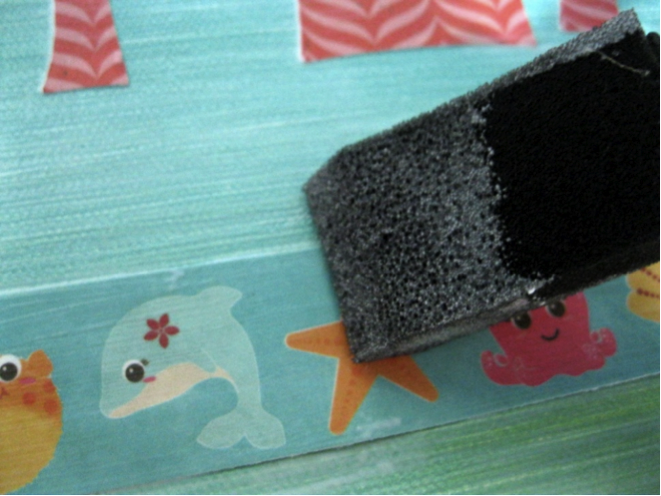 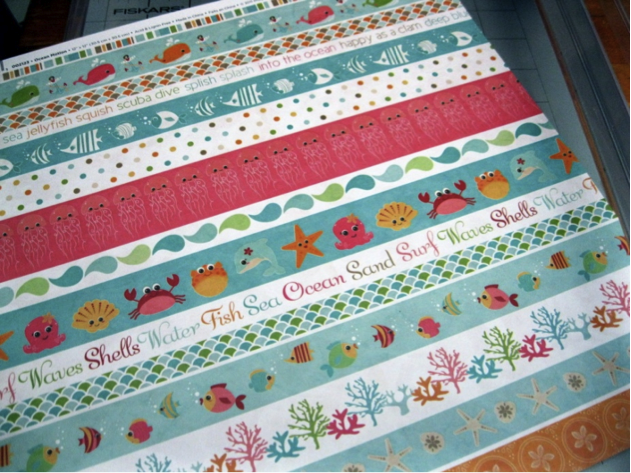 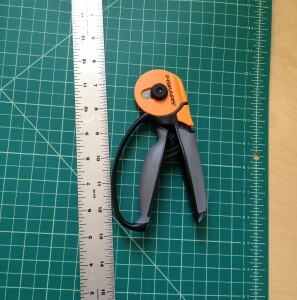 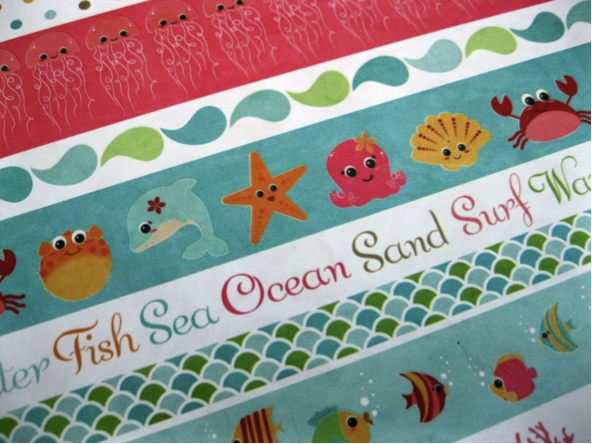 These tools make cutting straight lines super easy and quick! 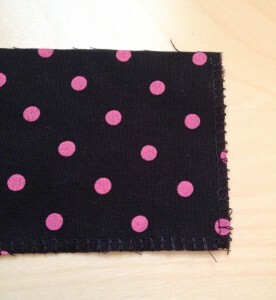 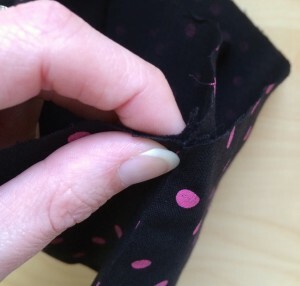 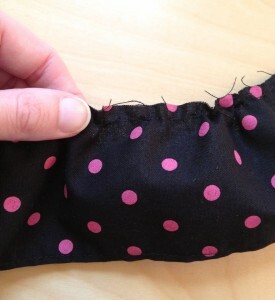 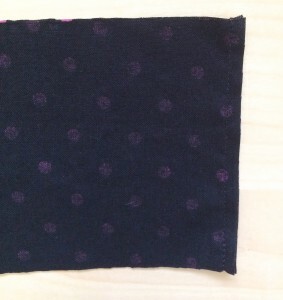 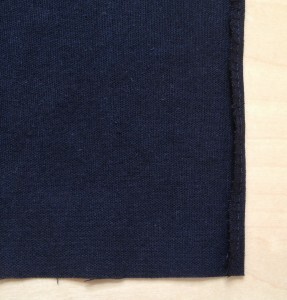 To keep the edges of your main piece from fraying, sew a narrow (just under ¼ inch wide) overcast stitch around both of the short ends (if your machine doesn’t have an overcast stitch, you could also sew a small zigzag stitch close to the edge of the fabric). 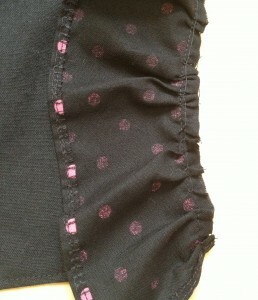 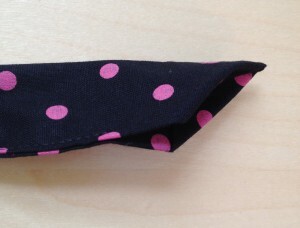 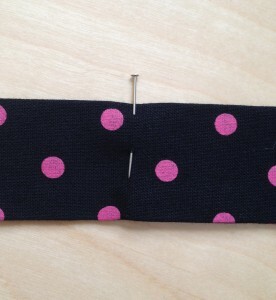 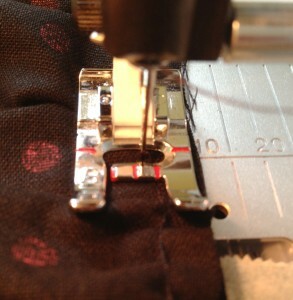 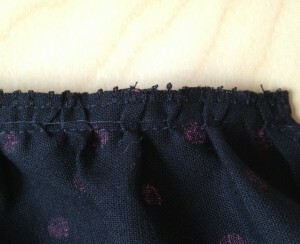 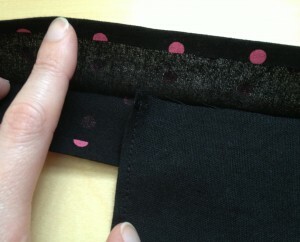 Next, to gather up the ruffle, set your sewing machine to the longest stitch length it has (aka a basting stitch). 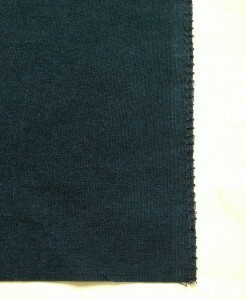 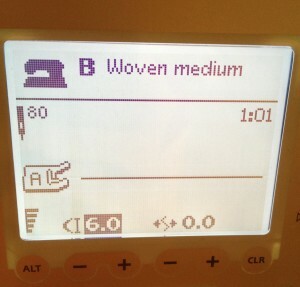 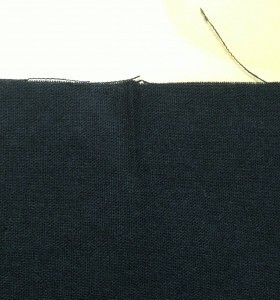 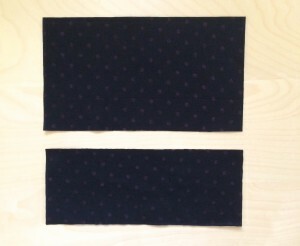 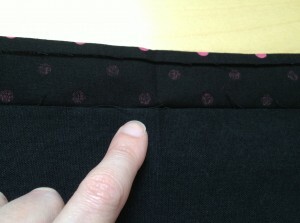 As you can see, “6” is the longest stitch length my machine has, but yours may be a bit longer or shorter. 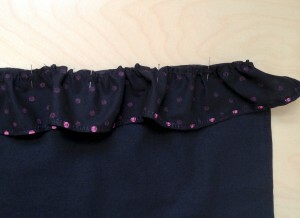 Then, with this long stitch, sew a seam a little less than ¼ of an inch from the edge of the long, unfinished edge of the ruffle piece. 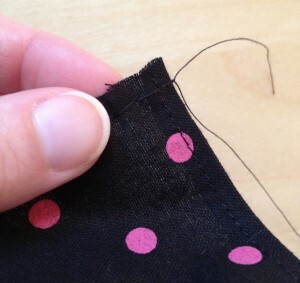 Also, make sure to knot the start of the seam, but don’t knot the other end of it! 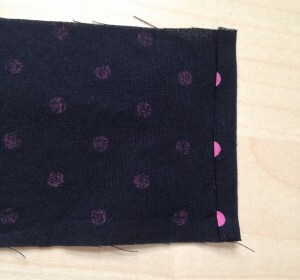 Then, gently pull on the bobbin thread, and the fabric will begin to gather. 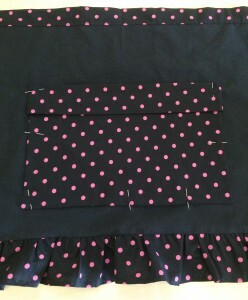 Continue pulling on the bobbin thread and gently evening out the gathers along the length of the fabric till the ruffle is 27” wide (or the same size as the finished main body piece). 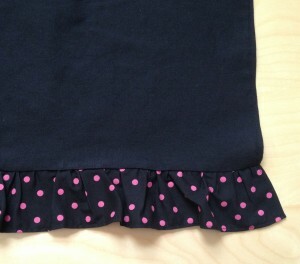 The next step is to sew the ruffle to the body piece. 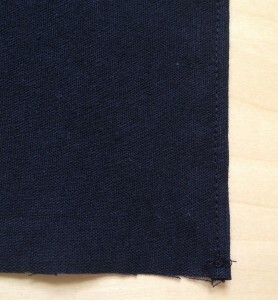 It’s a little hard to see in the picture, but if you look carefully, you can see that the needle is staying to the left of the basting stitch on the ruffle. 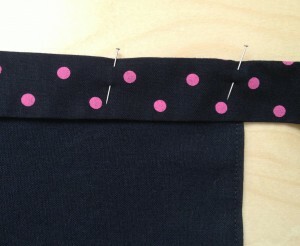 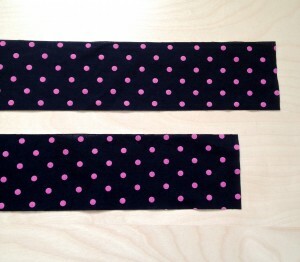 Next, it’s time to make the waistband! 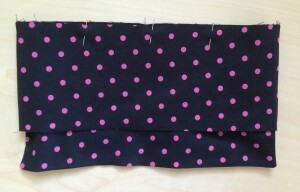 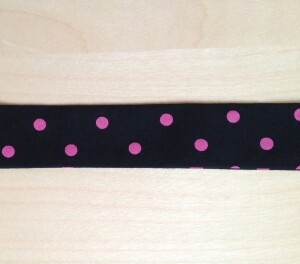 Next repeat the process on the other side of the waistband, till the entire piece is finished. 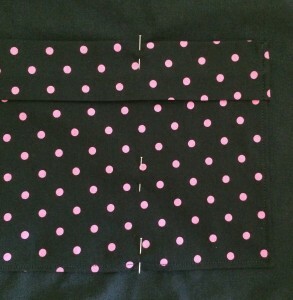 If you don’t need a pocket, you’re now finished! 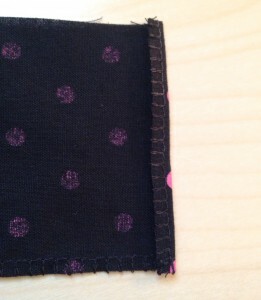 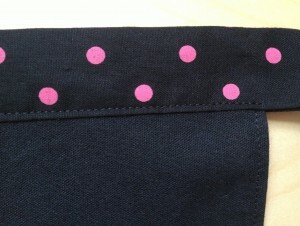 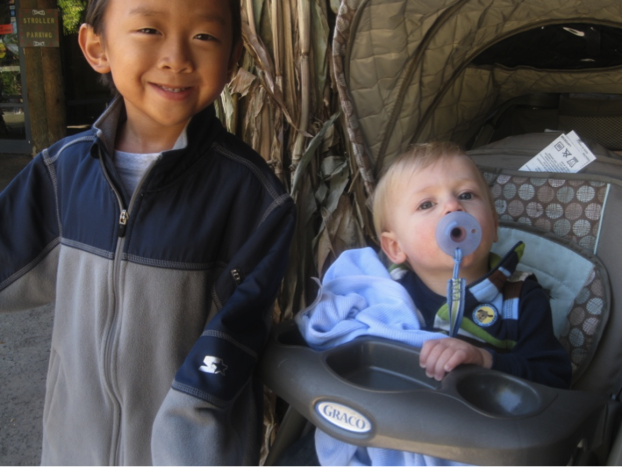 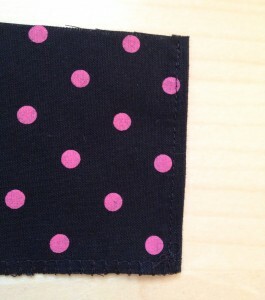 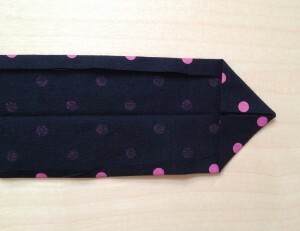 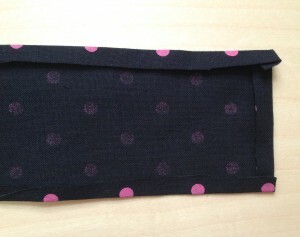 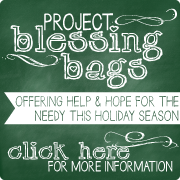 However, if you’d like to add a pocket to yours like we did, come back next week to learn how!